An increase in new, higher-yield seed varieties is helping some rural communities produce more food in Timor-Leste, but greater support is still needed, aid agencies say. “The current need to import seeds to meet the demand causes many issues for farmers and costs more than producing seed locally. Seed imported from Indonesia is often of poor quality, there are logistical issues in reaching the remote communities, and often the seed arrives late, which impacts on the time of planting that is critical,” John Dalton, team leader of Seeds of Life, a programme within the Timor-Leste Ministry of Agriculture and Fisheries, told IRIN. 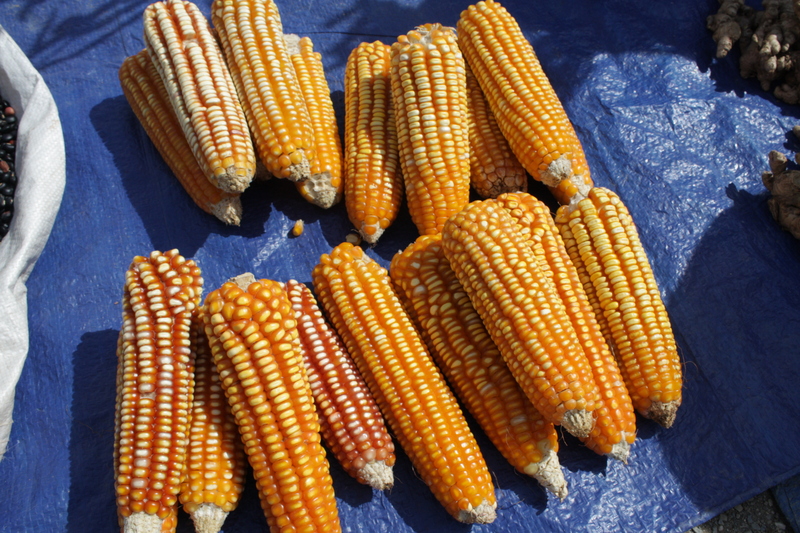 Seeds of Life works to identify high-yield varieties of the country’s five staple crops - maize, rice, cassava, sweet potato and peanuts - that are best suited to the country’s climate. It also works to establish a national seed network, with seeds procured locally in Timor-Leste, to keep local farmers supplied. Food security remains a challenge in Timor-Leste, where 80 percent of the country’s 1.1 million people - and 90 percent of the rural poor - depend on subsistence agriculture for their livelihood, according to the World Food Programme (WFP). “Based on more than 10 years’ research, the programme aims to not only identify the varieties that will produce the highest yield, but also to help farmers establish systems and networks for the production and storage of seed from those crops in the future,” Dalton explained. Currently, the newly introduced seed varieties reach 27,493 farmers. By March 2014, they aim to reach more than 50,000 farmers, almost half of all farmers in Timor-Leste. WFP says about one-third of the population regularly experiences food shortages, notably towards the end of the two lean seasons between harvests, October to November and February to March. Each year Timor Leste needs 211 metric tons of rice seed. Two years ago, local rice seed production met 24 percent of the total demand. Today, it meets 61 percent of the total, meaning farmers are importing less seed. Local maize seed has also increased from 6 to 39 percent of the 500 metric tons needed annually. But new seed varieties are only one part of the response needed to improve long-term food security in Timor-Leste, which only gained independence 11 years ago, experts say. “Having good seeds to plant with a reliable seed storage system owned by the community is essential. But more support is required for communities to grow healthy, nutritious food and improve food security long-term,” Kunhali Muttaje, country director for Oxfam in the capital Dili, said. Moreover, without addressing social, economic and gender issues, sustainable food security will not be achieved, agencies say. “It’s important to assist communities to diversify the ways of earning a living to improve food security, such as increasing fish production and diversifying food sources. The capacity to store food needs to improve to prevent food being destroyed by insects. Gender inequalities that impact on access to food must also be addressed to improve nutrition,” Mirko Gamez Arias, a programme manager at CARE, said. Permatil, a local permaculture agency, is concerned new seed varieties will not address food security issues over the long term, noting traditional agricultural techniques and knowledge are also need to support sustainable farming. “These new seed varieties take time to adapt with the local environment, and, culturally, farmers need to learn new ways of farming to adapt to the use of these new seeds. Mostly new seed varieties succeed in demonstration farms, but fail in the farmers’ fields,” explained Ego Lemos, head of Permatil and an environmentalist. He added, “Traditionally, Timorese used to eat different varieties of food crops that were grown in different seasons and based on this climate, including different grains, tubers, beans, vegetables, and protein from animals. But today Timorese eat less variety in food crops and, moreover, rice has become the main food staple. This has resulted in 90 percent of food consumption in Timor-Leste being imported,” added Lemos.